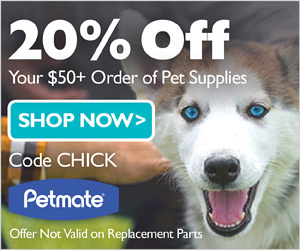 You love your Labrador Retriever…in fact, you love all things Labrador Retriever! 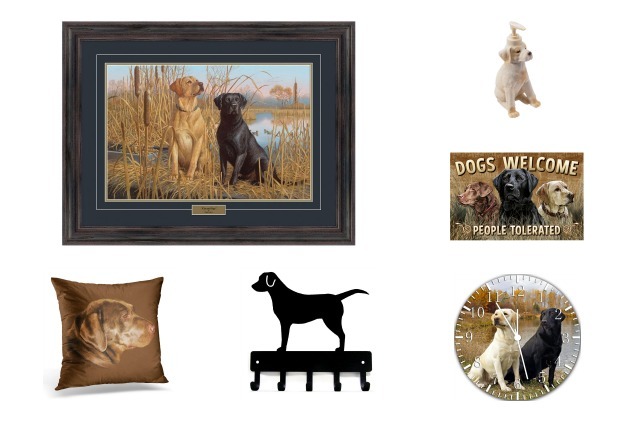 Here are the top 10 Labrador Retriever themed decor we’ve found for you to show much you love them! We’ve always had Golden Retrievers, but after our sweet golden oldie Dixie died last summer, I’ve had hard time thinking about another Golden. Two years ago, I adopted the best little Labrador Retriever mix ever and just a few months ago, we added another sweet little Lab girl to our family and I’m all about the Labrador Retriever gifts. 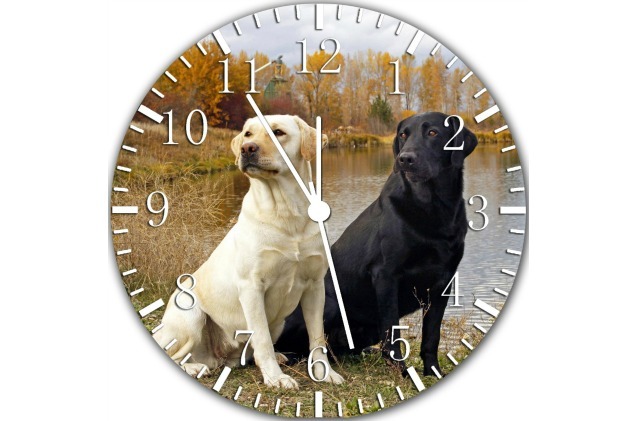 Here are the top 10 Labrador Retriever decor items I’ve fallen in love with! I love this picture because it reminds me so much of my Lilly! 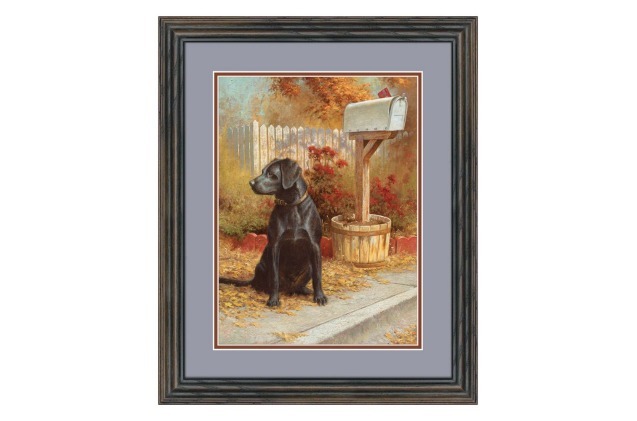 This gorgeous black Lab is waiting ever so patiently to give her favorite mail person some of that love that Labs so freely give. It’s 16 x 20 and makes a great gift too! 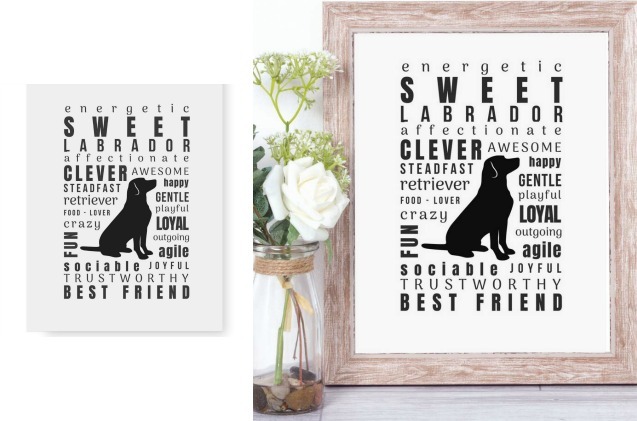 This beautiful 8.5 x 11 print tells the world everything they need to know about Labrador Retrievers: they’re sweet, loyal, engergetic, joyful and just plain awesome! Perfect for that nook near your desk or nightstand to give you sweet dreams of your best furry pal. 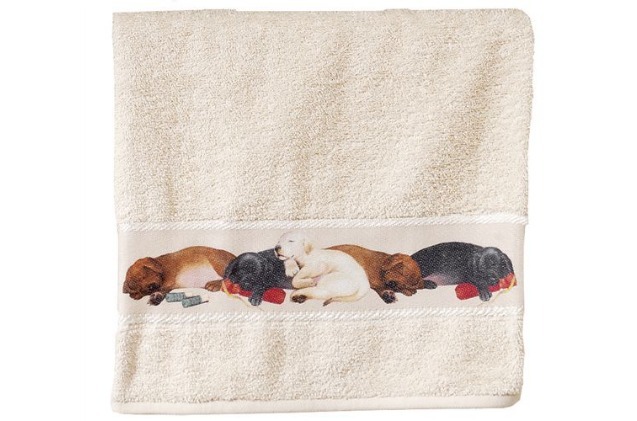 This warm and cozy 50 x 60 Lab throw is super soft and so easy to care for too. If you and your Lab want to snuggle up together, go on and do it and then just toss the throw in the wash to keep it warm, cozy and clean. 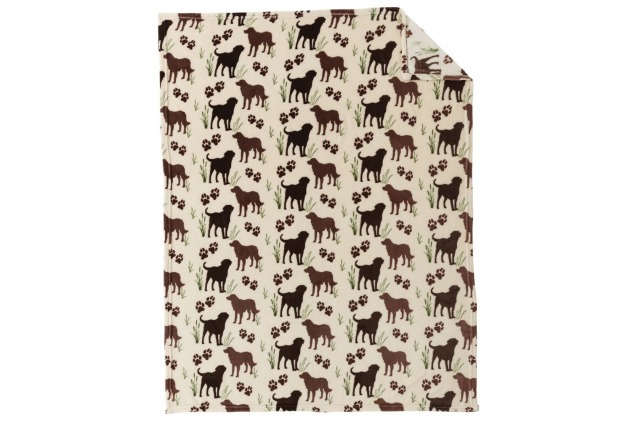 Besides, is there anything better than little doggy prints as accents for your bed or sofa? Nope. There’s not. If your house is like mine, you have a ton of different collars and leashes for your Labs, and sometimes finding them is tough because they just get taken off and put wherever. 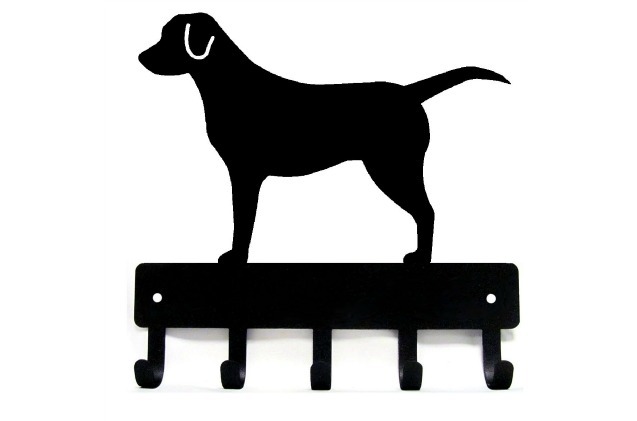 Well, they do until you bring this awesome Lab Key and Leash hanger to be put by garage/front or back door as an easy way to keep keys and leashes at the ready. Create the habit of keeping them in their own place with this adorable hanger. 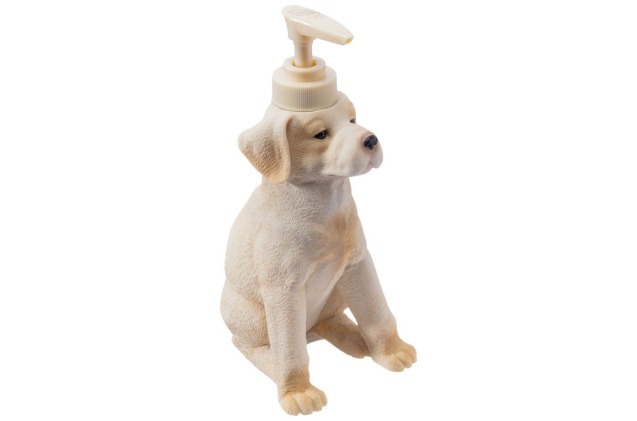 Every Lab lover will want this sweet lotion/soap dispenser with the cutest little yellow Lab baby dishing it out. It’s hand painted and guaranteed to bring a smile to your face with each pump! 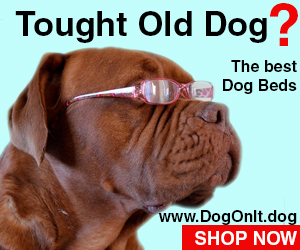 There is nothing more regal than an old Lab who is starting to show some of his ‘frosting’ around his sweet muzzle. 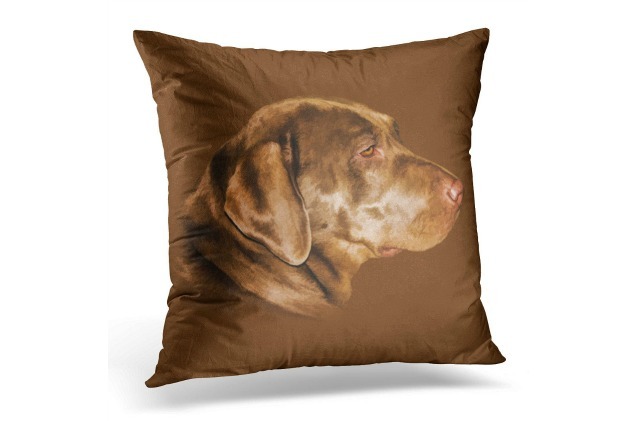 This throw pillow cover fits a 16 x 16 pillow and has printing on both sides so the beautiful Lab always looks ready to give you some love. 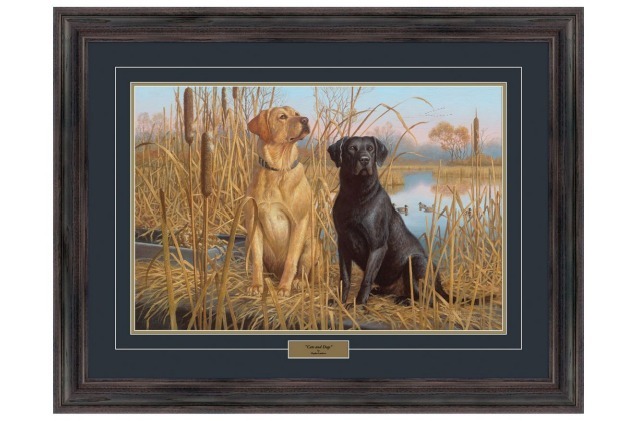 This gorgeous 22″ by 30″ framed Lambson is a limited edition piece that details the majestic beauty that Labrador Retrievers always know how to display. It’s framed with archival quality double matting and gallery glass, and makes a great gift or an incredible wall centerpiece. It’s also signed and numbered. 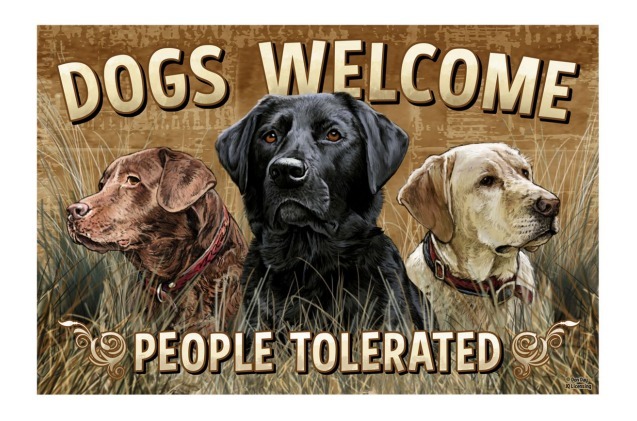 “Dogs welcome, people tolerated,” is pretty much the mantra of my life (and I bet I’m not alone!). Now we have a gorgeous mat to be honest and inviting at the same time, and who better to deliver the message than our lovable Labs? You’ll want to know what time it is all the time because this frameless clock of Labs just draws you in. With it’s gorgeous photographic detail, you can see the intensity and soulful eyes of our favorite furry friends any time we want! Is there anything cuter than little Labrador Retriever puppies all tuckered out? Not really, and they’re as adorable as ever on these decorative hand towels that are perfect for perfect for your bathroom (or kitchen, even, as they’re a thick, absorbent terry cloth).